Self-published in soft cover, spiral bound, 48 pages; dimensions: 8.5 x 0.1 x 8.5 inches ISBN: 978-0-9925212-0-2; Electronic and print-on-demand versions are available via Amazon in English ISBN-10: 0992521203 and in French ISBN-10: 0992521297. Richly illustrated with photographs and charts. Children’s resources that deal with living aboard a boat as a lifestyle are not so easy to find. Dr. Emmanuelle Buecher-Hall has produced a story book that inspires kids to embrace the adventure that lies ahead of the family setting out to voyage across the earth’s oceans. Dr. Buecher-Hall is an accomplished marine biologist who trained in France and conducted research in South Africa then set sail with her husband and their three young children aboard a catamaran they built themselves. After crossing the Atlantic, Caribbean and Pacific, they have settled now in Australia. Merlin is the name of their yacht, and the story is told from the boat’s perspective. The yacht takes them to exotic places where they have adventures crossing oceans, underwater, on remote islands, and in foreign lands. It is an enchanting and instructional read for primary school children that instills lofty dreams of exploration they can one day fulfil. It also assuages the fear of the unknown out there on the vast oceans. Included are charts of the oceans with anchors drawn at all the places Merlin visited. There are many colour photographs of children at play, wildlife alongside, and villages visited that accompany the simple story of what they experienced along the way. Nautical terms are highlighted in different colours and explained in a detailed glossary of nautical terms at the back. It’s a lovely little book that every aspiring young sailor should take to bed. Merlin’s Voyage is sure to inspire dreams of adventure on the high seas. 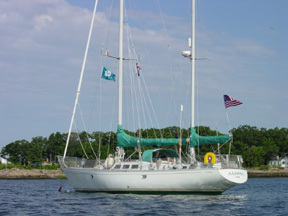 Merlin is a curious yacht, home of a family with young kids sailing from South Africa to Australia, via the Atlantic, the Caribbean Islands and the Pacific. 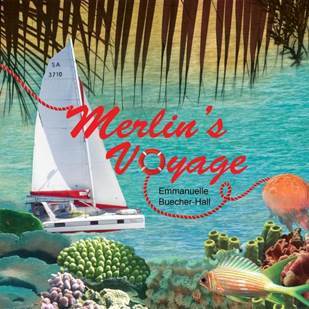 Join Merlin and its crew to discover the high seas, the underwater wonders, the island delights and extraordinary sunsets. There is much to see and much to learn during this exciting voyage of explorations. Enchanting read for primary school children mixing adventure and learning.